So, I finally bought some new running shoes. I steered away from being a Nike brand loyalist and bought Asics. 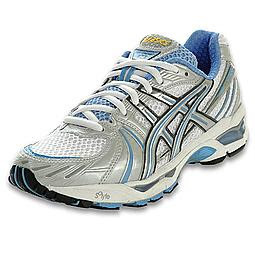 I guess Asics makes the best running shoes that has a gel cushioning, which doesn’t breakdown as quickly as the air cushioning in Nike. Anyway, the shoes I bought are pretty boring looking but my feet are so happy. The post Shoe Winner appeared first on Darling Darleen | A Lifestyle Design Blog .